In Orange Class David is the class teacher, Deirdre is our TA2 and we have Sarah, Jenny, and Leanne as our teaching assistants. This half term Orange Class have got a packed schedule full of fun and exciting learning opportunities. Our topic is called "Splish, Splash, Splosh" and so we are learning all about water. We will be trying out different water proof clothes, trying out and designing umbrella's whilst trying to avoid getting wet! We will be looking at different uses of water around the school and running our own car wash! We have several exciting trips this half term we are going on a trip to Bedford to look at the river and bridges and we will also be going to Cassiobury park in Watford to have some fun in the water. In Literacy we are reading a book called "All Afloat on Noah's boat" which is about a talent show on Noah's boat. I'm sure Luton Library stock the book if you want to read it at home or you can buy it from here. In Numeracy we will be doing our best to incorporate water into our lessons although this isn't always possible. We also have sports day coming up this term, and watch out for a newsletter which will give you the dates. As always please keep writing in the home school books as it always helps us to know what the children are up to at home. Welcome to another exciting term in Orange class. We have had a shuffle of staff and we say goodbye to Dawn who has moved to another class in the school and we welcome Jenny to Orange Class. This half term we our topic is called "Down on the Farm" and we will be studying all aspects of farms. We will be growing "grass heads" and sunflowers as an ongoing project throughout the half term and we will keep out fingers crossed that they grow! We will be looking at different farm animals, their names and features and we will coincide this with a visit to Willow Farm. We will also be looking at baby animals, matching them to their parents and also naming them. We will move onto looking at Farm Yard Vehicles including making a tractor out of junk. Finally we will end the half term by looking at different farm produce including a visit to a farm shop. Our topic this term is 'Making Sense' and we will be looking at different senses every week. 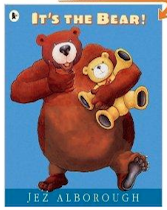 In literacy we will be looking at various books, most of them revolving around Bears. As part of our topic we have done a lot of work on bears, making bear masks and following bear prints. We even went on a trip to Ashridge woods to see if we could find any bears, fortunately we didn't. In Literacy we have looked a vareity of books including The Very Hungry Caterpillar and Farmer Duck and the children have especially enjoyed making "Quack" sounds to go along with the story. In Numeracy all children have continued to make progress and have enjoyed the ongoing creative maths lessons we do in Orange class to make learning fun. The children have found the mud outside on the field very interesting to be the, all of the children have loved splashing around on the field and getting mucky in the mud!